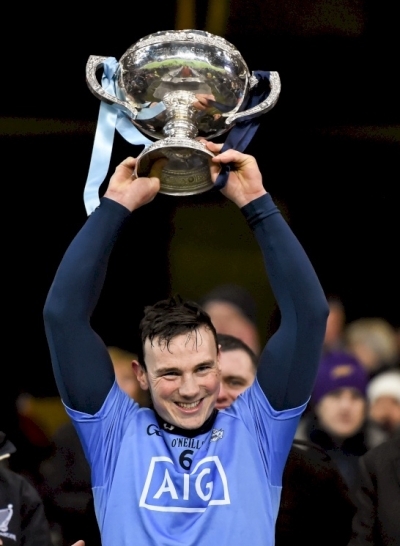 2016 - On this day, Dublin beat UCD in the group stages of the Walsh cup with a score of 4-15 to 3-12. Paul Ryan had an impressive game scoring 2-7, with 0-5 coming from frees. 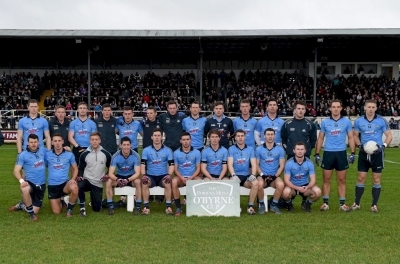 2015 - On this day, Dublin defeated Meath in the O'Byrne cup semi-final 1-15 to 1-13, Dean rock scoring 0-8 and Eoghan O'Gara coming away with 1-2 to progress to the final. 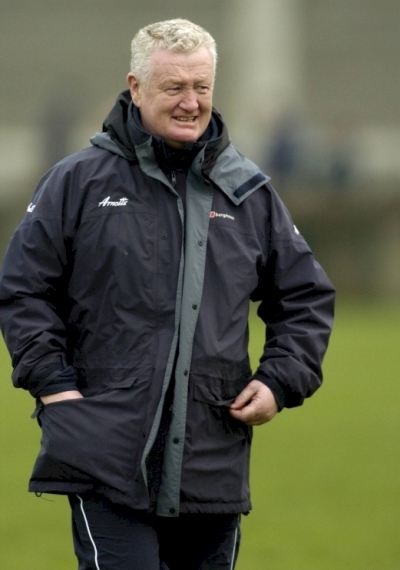 2013 - Legendary former Dublin GAA player and manager, Kevin Heffernan passed away aged 84. 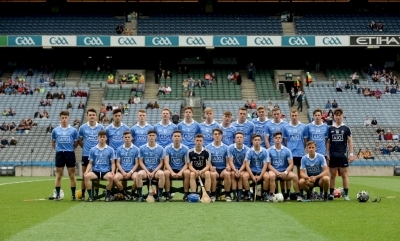 2017 - Dublin defeated Louth in the O'Byrne Cup Final, by a scoreline of 2-16 to 1-10. 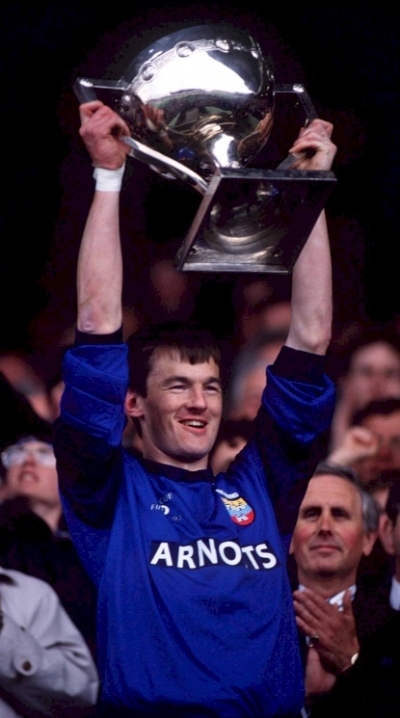 Captain of the team Ciarán Reddin lifted the cup in Gaelic Grounds, Drogheda. 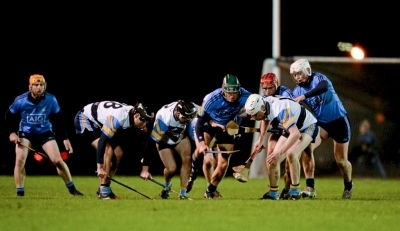 2011 - Dublin hurlers beat Kilkenny 2-17 to 2-13 in the Walsh Cup final in Parnell Park. 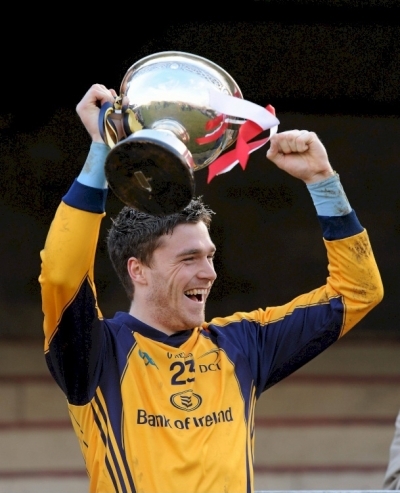 It is our first Walsh Cup victory since 2003. 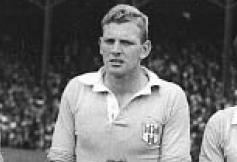 1963 - On this Day in 1964 the first ever All Stars, then called Cú Chulainn awards were presented, Dublin dual star Des Foley was selected at mid field on both the hurling and the football teams of the year. 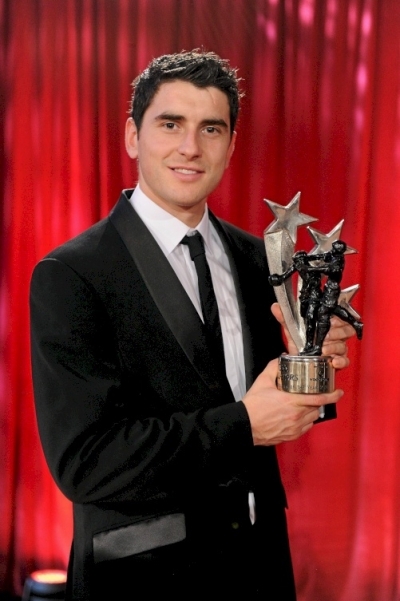 His brother Lar Foley took away the Footballer of the year award that same year. 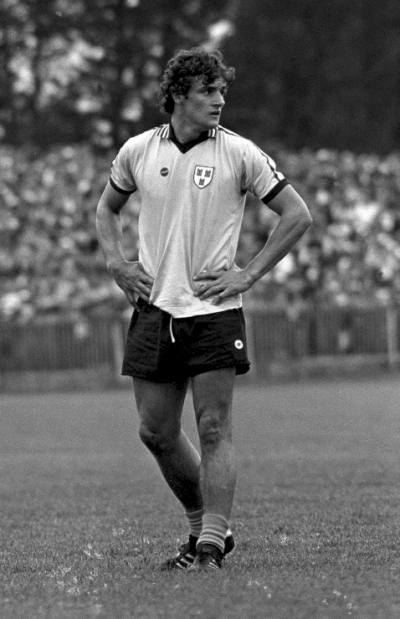 1975 - UCD won the All Ireland Club Final on this day in 1975. 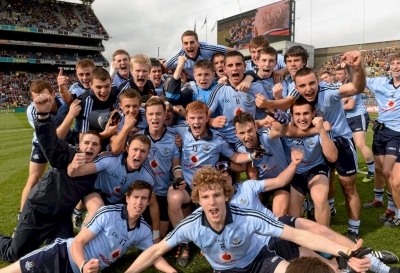 It was a famous double for the Dublin college as they had won Dublin's first Club All Ireland title 11 months earlier. 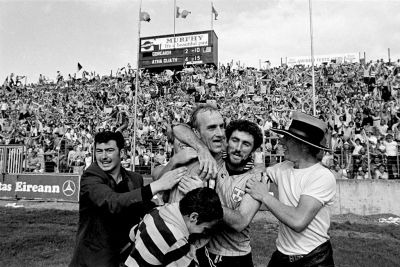 1976 - On this day St. Vincents won their first ever All Ireland Club Football title beating Roscommon Gaels 4-10 to 0-5. 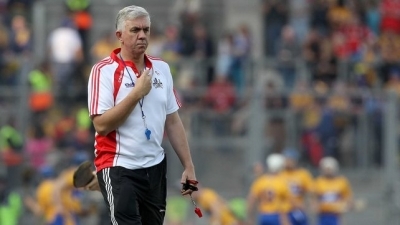 Five of the Vincent's team, Jimmy Keaveney, Gay O'Driscoll, Brian Mullins, Tony Hanahoe and Bobby Doyle, would also start and win both National League and All Ireland titles this year. Heffo was manager of both. 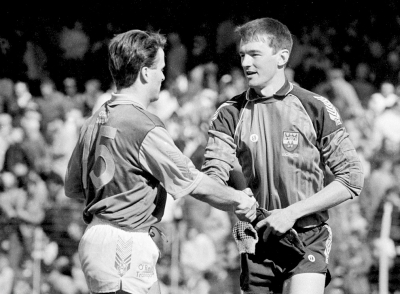 1987 - On this day the most famous National League Quarter Final took place in 1987, after the game finished a draw in normal time Cork refused to return to the field in extra time. 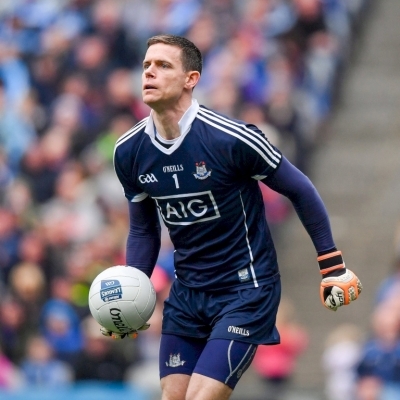 The ref threw the ball in and Dublin scored a goal through Barney Rock playing against nobody. 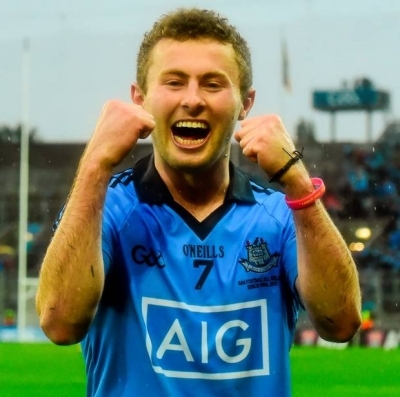 The ref then blew the final whistle and Dublin advanced. 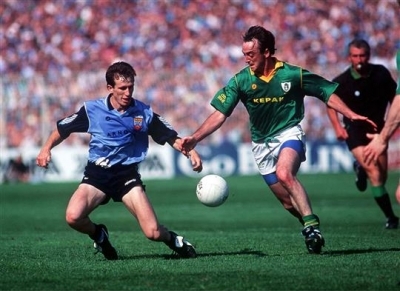 The Dubs would go on to beat Kerry in the 1987 National League Final. 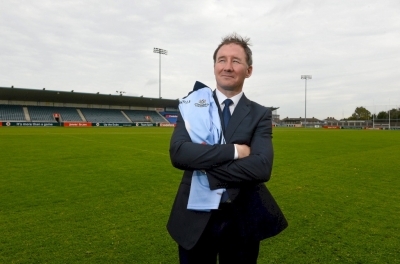 2015 - Former Dublin player, U21 football manager and senior selector, Dave Billings passed away. 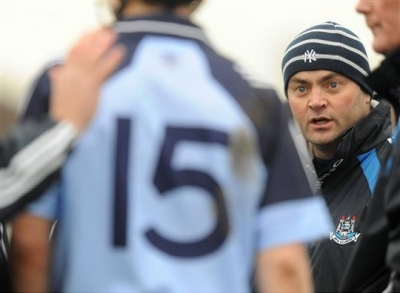 Billings was one of the ultimate GAA men who dedicated much of his life to St. Vincents GAA, UCD and Dublin in many different roles. 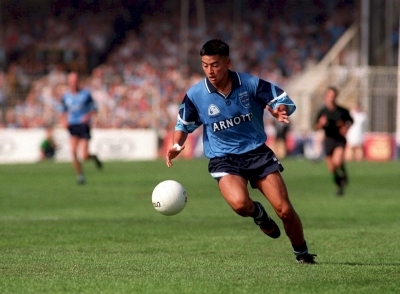 1987 - Dublin beat Galway 1-8 to 0-8 in a National Football League semi final in Portlaoise. 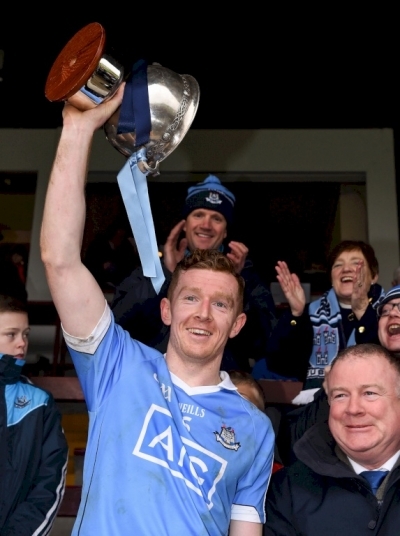 7 days later Dublin continued their good form with a victory over Kerry in the final. 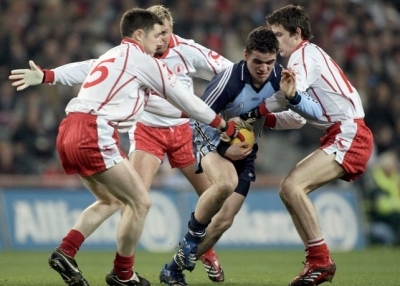 1895 - On this day in 1895 Dublin won their third all Ireland as Cork refused to play extra time after the game finished 0-5 to 1-2. 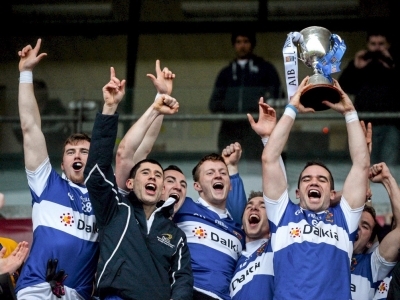 2015 - The League Treble!!! 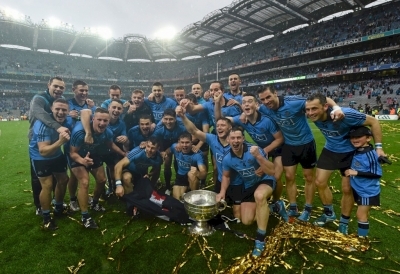 On this day in 2015, by a scoreline of 1-21 to 2-7, Dublin won the National Football League Final defeating Cork. Dean Rock lead the scoring with 10 points with 3 of those coming from play. 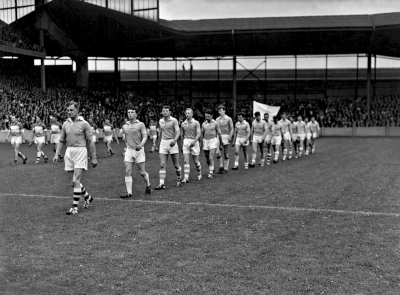 1953 - Dublin won their first ever National Football League title, defeating Cavan in Croke Park 4-6 to 0-9. 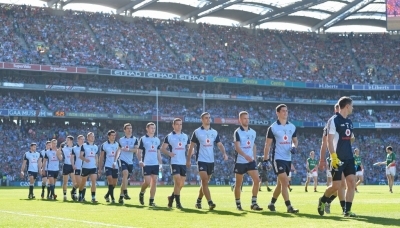 Dublin lined up with 14 St. Vincents players and wore the club white blue and white to avoid a colour clash with Cavan. 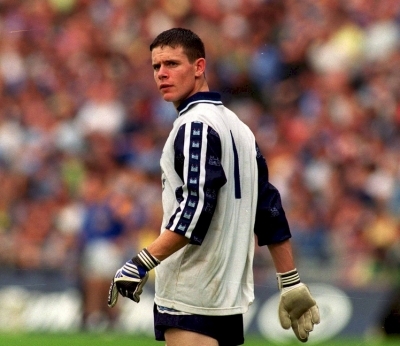 The only non St. Vincents player was goalkeeper Tony O'Grady of the Air Corps club. 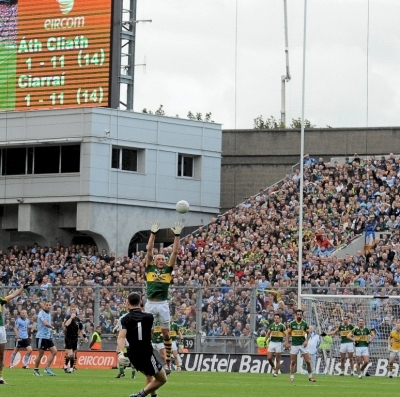 There were 37,605 in attendance on the day. 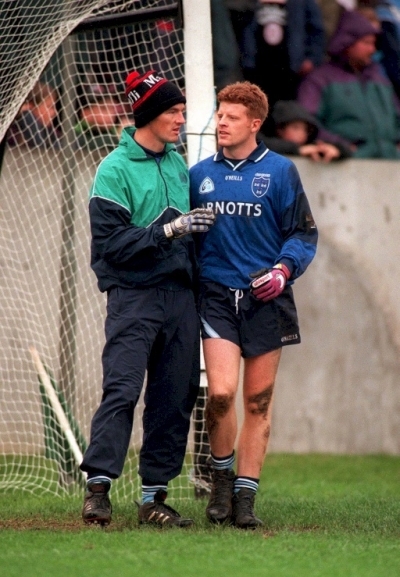 1995 - Jason Sherlock scores a crucial goal even after losing his football boot as Dublin beat Laois in LFSC semi final in Navan. 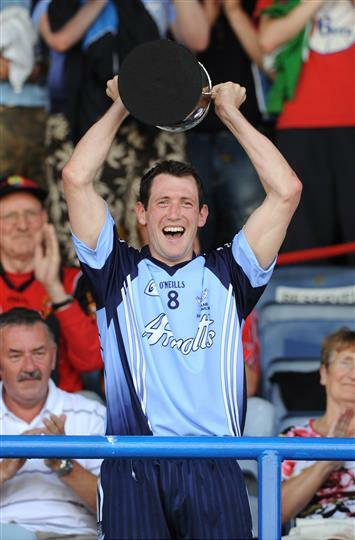 2013 - On this day, Dublin beat Meath to claim their 53rd Leinster Senior football final with a score of 2-15 to 0-14, Paul Mannion scoring 1-4 to seal the win. 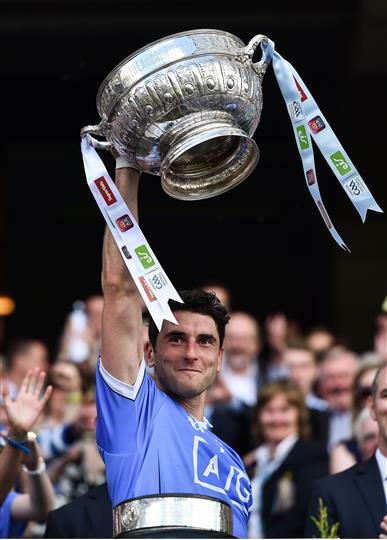 2016 - On this day, Our Dublin Senior footballers defeated Westmeath with a score of 2-19 to 0-10, Bernard Brogan receiving man of the match with 1-4, to claim our 55th Leinster title and the sixth title in a row. 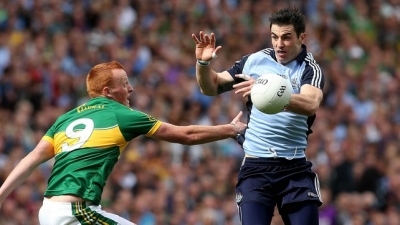 2012 - On this day, Dublin narrowly beat Meath in the Leinster Senior Football Final with a score of 2-13 to 1-13, Bernard Brogan scoring an impressive 1-7 to drive the Dubs forward. 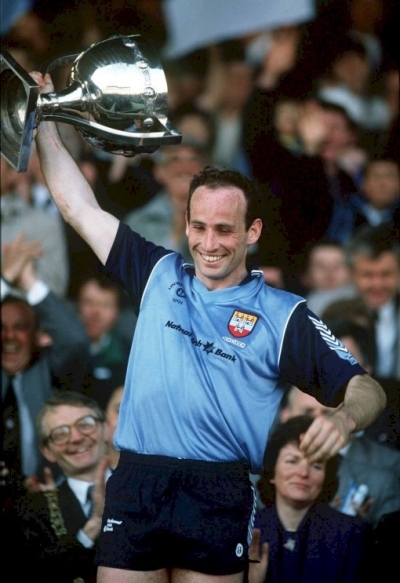 1901 - On this day in 1901 Isle of the Sea as Dublin club champions represented and won the All Ireland Football Championship beating London 0-14 to 0-2. 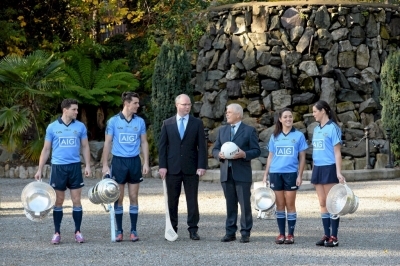 The London team were captained by Sam Maguire who the All Ireland Cup is named after. 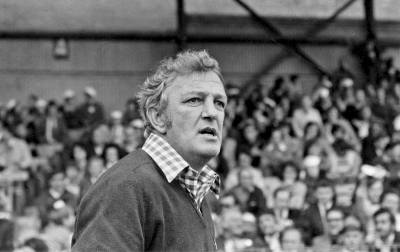 1929 - On this day one of Dublin's greatest was born. 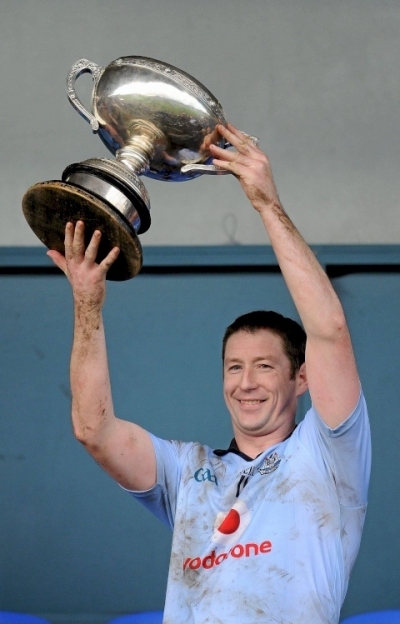 Kevin Heffernan won 21 Dublin club championships (15 football and 6 Hurling). 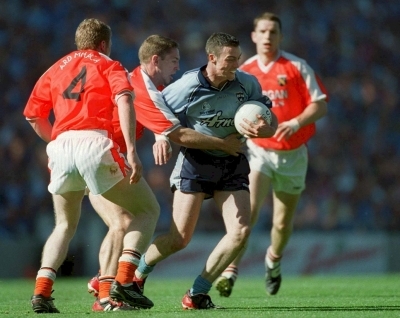 Playing with Dublin he won 4 Leinster titles and 1 All Ireland. 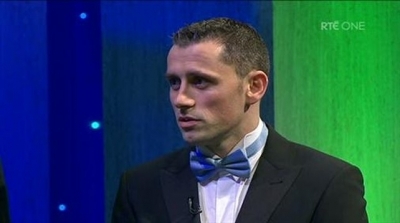 As a manager he won another 5 Leinster titles. He also made the teams of the century and the Millennium. Happy Birthday Heffo! 1983 - Dubs on Tour! 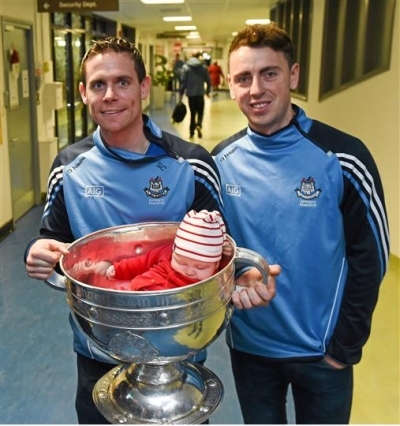 Dublin travelled to Páirc Uí Chaoimh in Cork for the All Ireland football championship semi final replay. 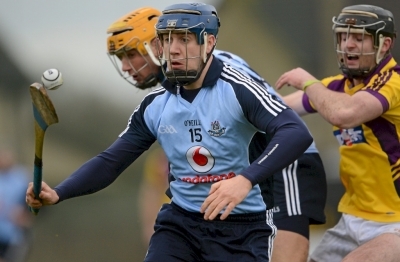 Kevin Heffernan's team produce an exhilarating attacking display in a 4-15 to 2-10 victory. 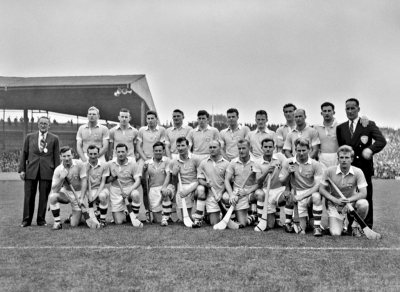 1938 - Dublin last won the Hurling All Ireland on this date in 1938, they beat Waterford on the day 2-5 to 1-6 with M. Flynn(Garda) and W. Loughnane getting the Dublin goals. Dublin's 1927 win also came on this day v Cork. 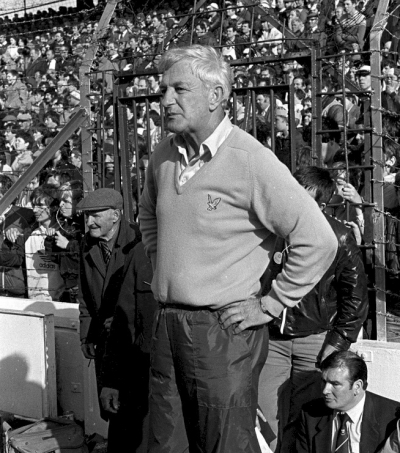 1973 - On this day, the legendary Kevin Heffernan was first appointed as the Dublin Senior football manager and selector on a three year term and in the following year he led the Dubs to Leinster and All-Ireland titles. Beginning the era of 'Heffo's Army'. 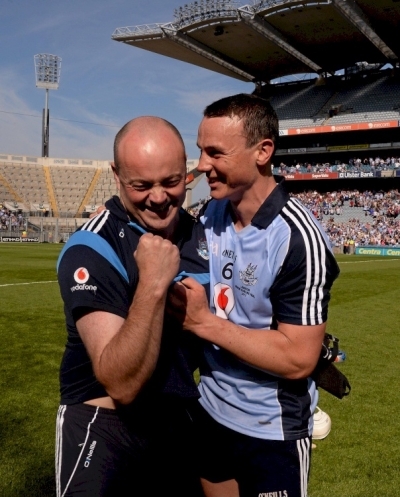 2013, 1974 - Our senior footballers add another All Ireland to the collection. 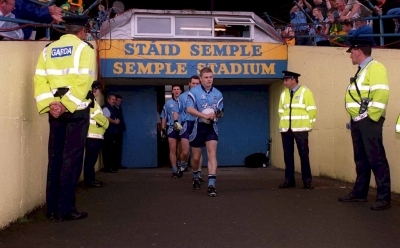 Jim Gavin follows up on delivering previous U21 All Irelands to help steer his team to a 2-12 to 1-14 victory over Mayo. 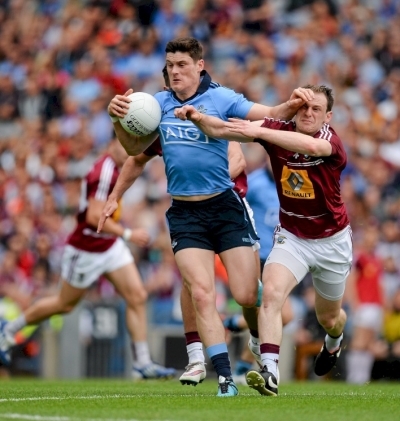 Bernard Brogan got the two crucial goals in an excellent team display. 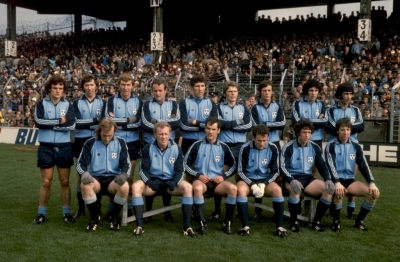 Also, Dublin won the 1974 All-Ireland Senior football final beating galway 0-14 to 1-06 . 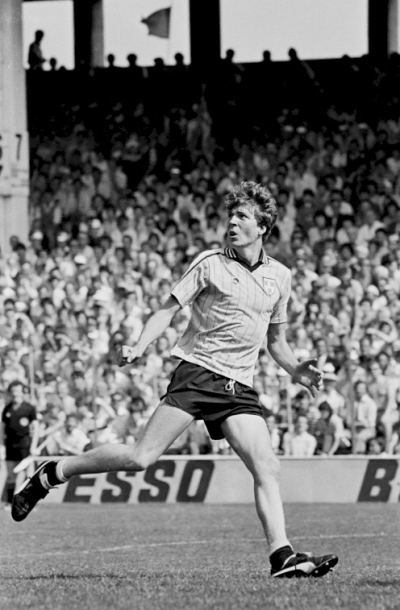 The famous season of '74 ended an 11 year dry spell for the Dubs and the same team went on to win 3 All-Ireland titles in just four years. 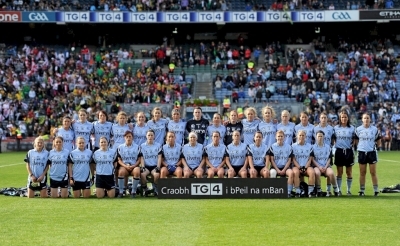 2010 - Dublin ladies senior football team defeat Tyrone 3-16 to 0-9 to deliver their first ever All Ireland Ladies title. 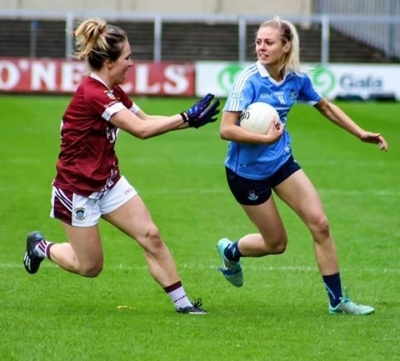 Sinead Aherne hit a brilliant 2-7 to help mark the historic day. 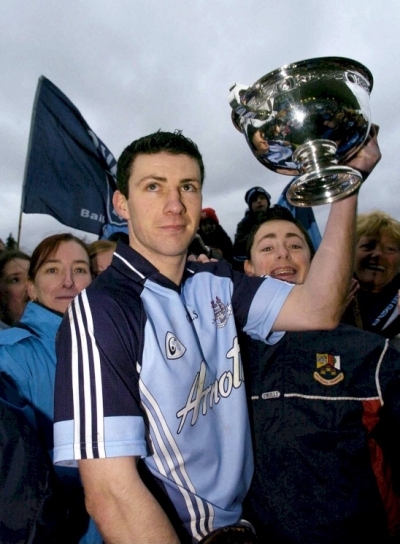 2003 - Alan Brogan captains the first ever Dublin U21 All Ireland winning football team. 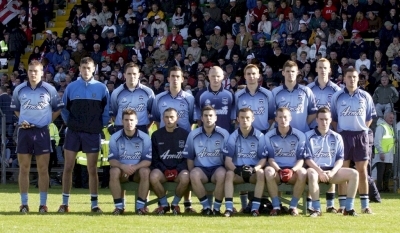 12 months after losing in the final to Galway, Dublin top Tyrone in Navan, the team produced a number of players who would go on to long senior careers. 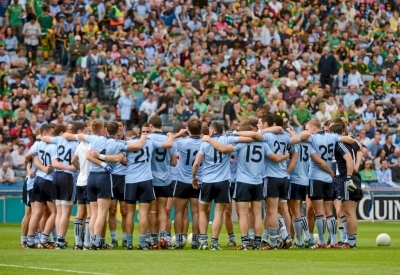 1907 - The 1906 All Ireland was won for the ninth time by the Dubs on this day in 1907. 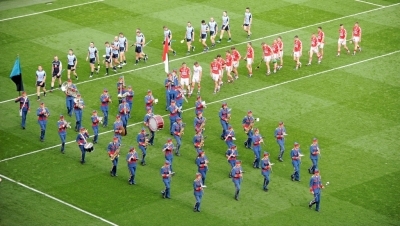 Dublin beat Cork in the final by 1 point, 0-5 to 0-4. 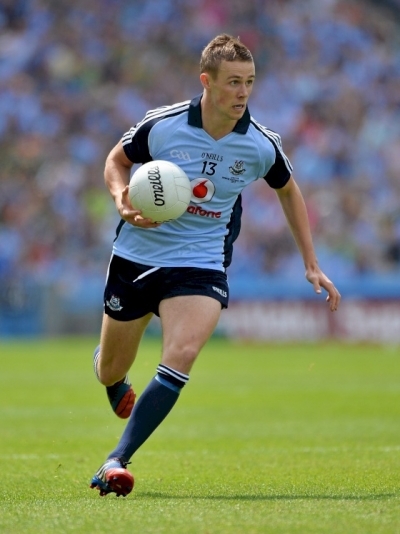 12 Kickhams Players, 2 Bray Emmetts and one each from James Gate, Geraldines and Keatings made up the Dublin squad. 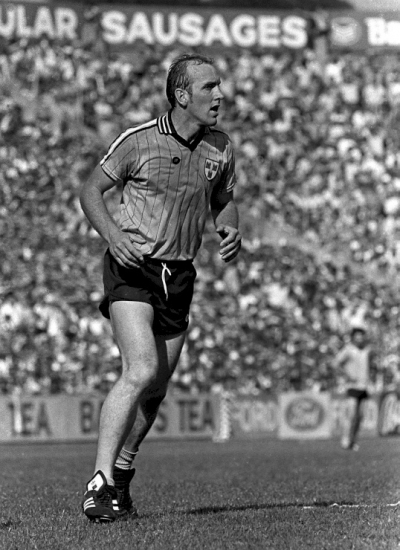 1971 - Corner forward Mick Bermingham becomes Dublin's first All Star hurling recipient. 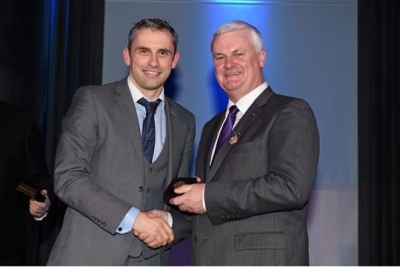 The Kilmacud Crokes sharpshooter is rewarded for a wonderful season with recognition on the team of the year. 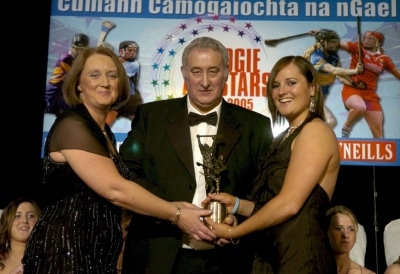 2005 - Ciara Lucey is awarded with Dublin camogies first ever All Star award. 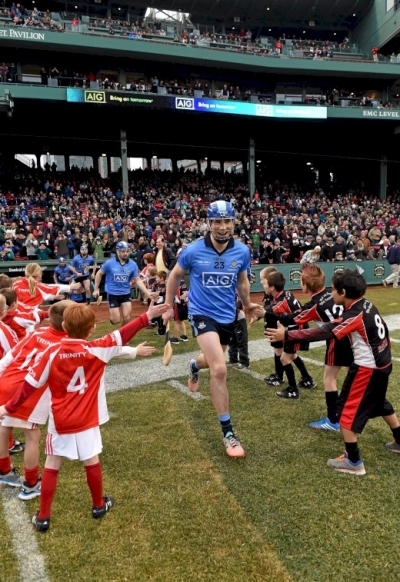 The Ballyboden St Endas star produced a number of powerful displays over the year to be deservedly selected. 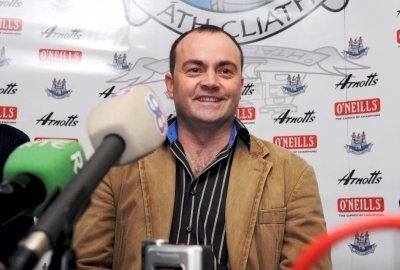 2008 - Former Clare All Ireland winning hurling captain, Anthony Daly is named as Dublin Senior Hurling manager at a press conference in Parnell Park. 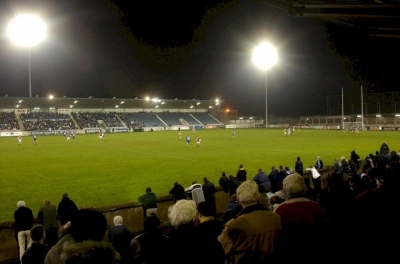 2005 - Dublin football champions Kilmacud Crokes add a Leinster title to their collection as the over come Kildare champions Sarsfields 0-10 to 0-9. 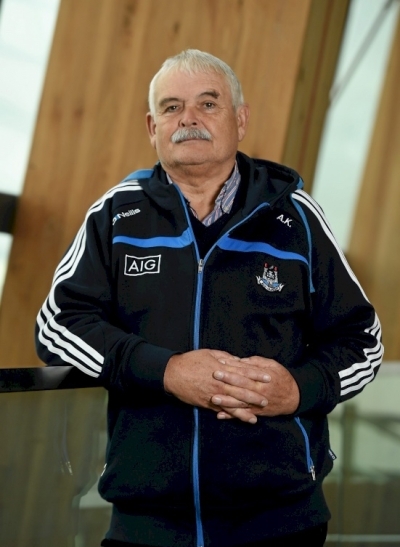 2014 - Dublin County Board Chairman, Andy Kettle passes away after a short illness. 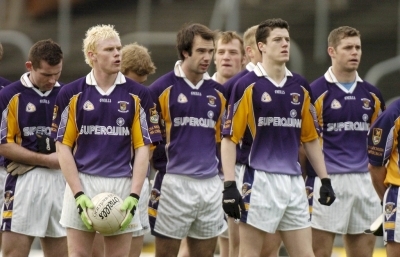 The Fingal Ravens clubman served the county in a number of positions of the years.